Fenelon was a spiritual compatriot of Madame Jeanne Guyon, and like her sought the way to the deeper inner life of total abandonment to God in Christ. And like Madame Guyon, he found it, and taught it to hundreds in his lifetime, and to hundreds-of-thousands since then through his writings. Best Of Fenelon by Fenelon Francois was published by Bridge Publishing in August 2002 and is our 42476th best seller. The ISBN for Best Of Fenelon is 9780882708935. 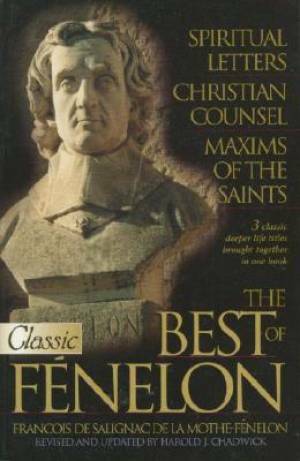 Be the first to review Best Of Fenelon! Got a question? No problem! Just click here to ask us about Best Of Fenelon.